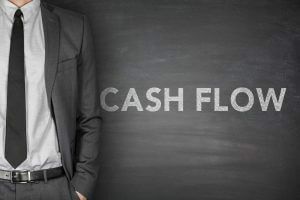 Among the most crucial concerns of an SME, cash flow management is a major one. SME is a small or medium sized organization which employs less than 250 people who tend to produce a revenue of less than 20 Million Euro. Such enterprises have to face a number of strategic as well as tactical challenges which cover up the cloud of cunning challenges. It faces challenges in terms of technology, communication, finances, human resource and marketing. Such enterprises also focus upon the relationship of marketing as well. Following are the certain steps which can be implemented in order to conquer issues related to cash flow management. Cash flow management is a large task, therefore it is necessary to take care of how to overcome cash debts. Cash flow must be recorded accurately through several available bookkeeping softwares such as QuickBooks. This helps in scheduling the return dates of the cash flows. This also aids entrepreneurs in alarming scenarios when the returning time of cash is near. Larger investments are made in order to drive larger profits which ultimately flourishes an enterprise. Therefore, cash flow measurements are important to overcome issues encountered with cash flow management. 1. Discount to customers must be offered in reward to their efficiency in paying their bills. 2. At the time of order placement, customers must be asked to make payments. 3. Customers unable to pay cash can use checks or credit cards to pay their bills. 4. Keep updating your inventory system in order to improve payment methods to make larger payments easily. 5. Transactions must be clearly observed and tracked through issuing invoices regularly and bookkeeping software. 6. O.D is an efficient tool which refers to the cash on delivery in order to overlook payment delay. Economists talk about the supply and demand of goods and services and portray certain rules and regulations for efficient supply and demand of goods and services for the exact determination of price. A similar rule goes for SMEs who face cash flows due to wrong determination of prices where they sell goods and services for a low price ultimately falling into debts. Companies must go for appropriate determination of prices to avoid cash flows. SMEs are enterprises which deal with having less employees which generate less revenues. This ultimately leads a company to take debts from other companies resulting into cash flows. The term is given to the state where management of cash is required when a company spends more than its earnings resulting into debts which then must be returned through appropriate scheduling of cash returns. These transactions are to be recorded through bookkeeping software.